But we learned Routes from some source and those Routes can be injected into a specific Routing Protocol for example, we could Redistribution Routes from OSPF into EIGRP and before we get into Troubleshooting Route Redistribution, let’s take a few movements and review the basics. 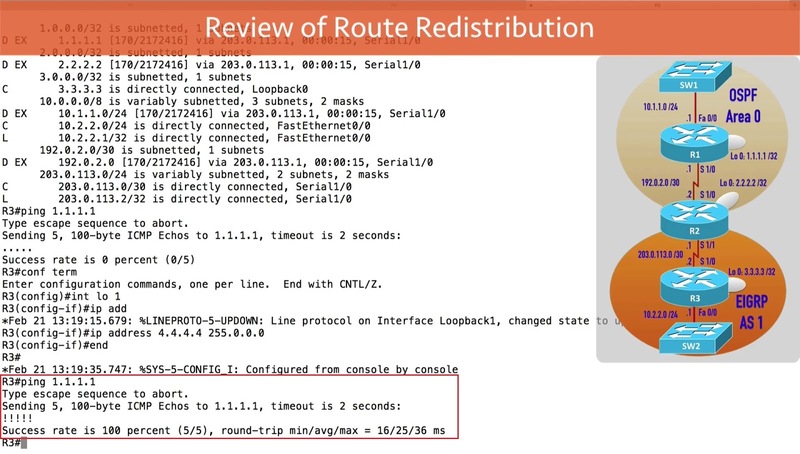 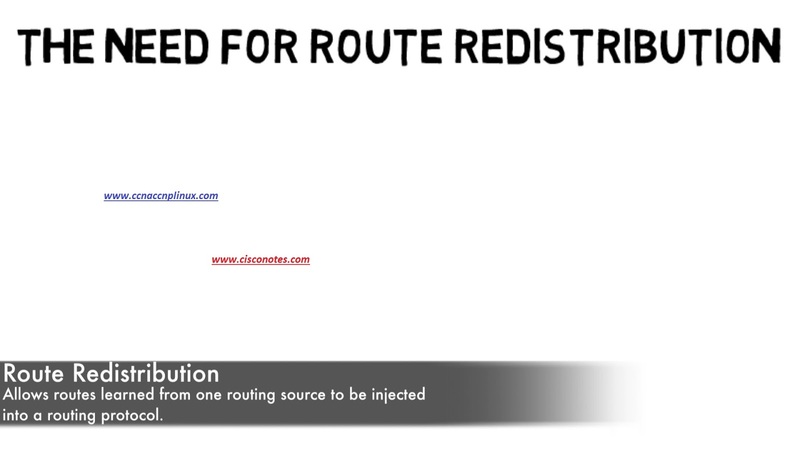 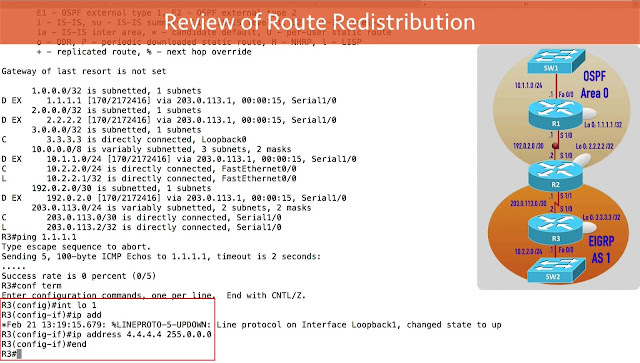 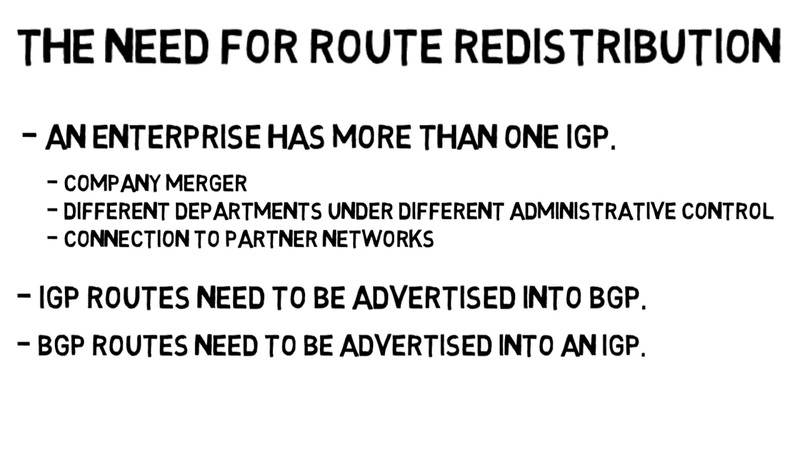 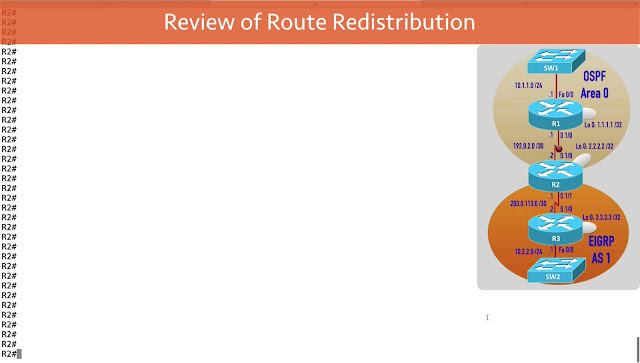 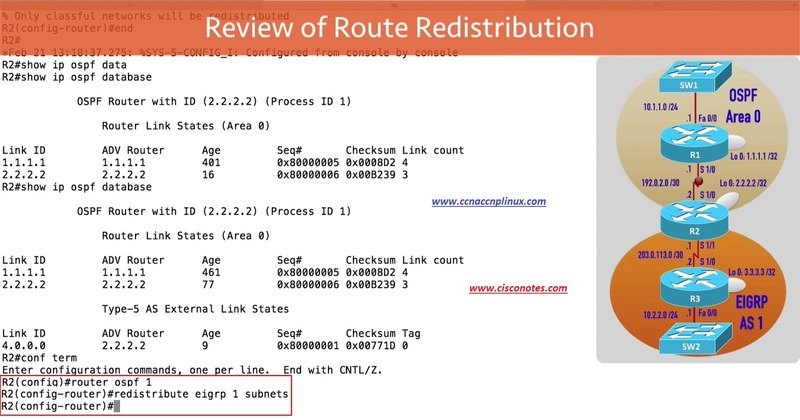 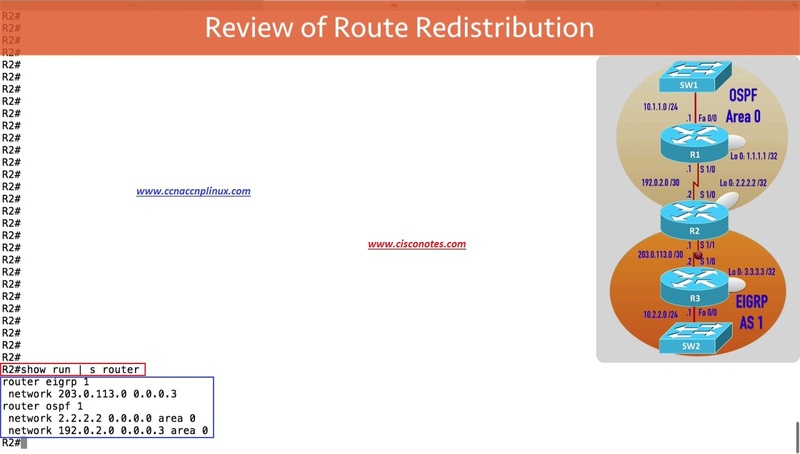 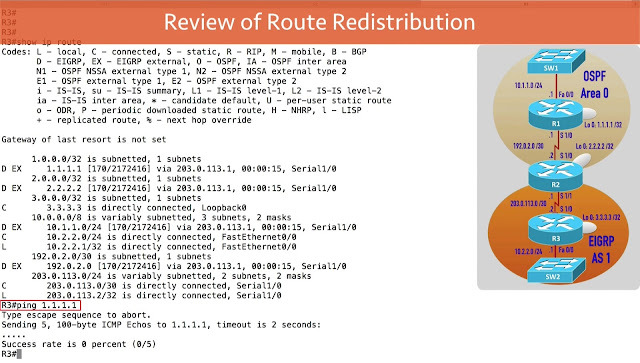 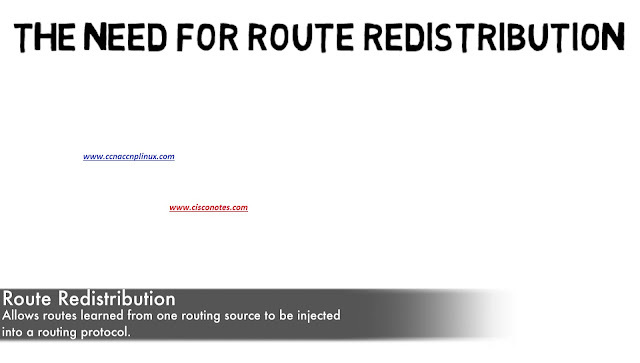 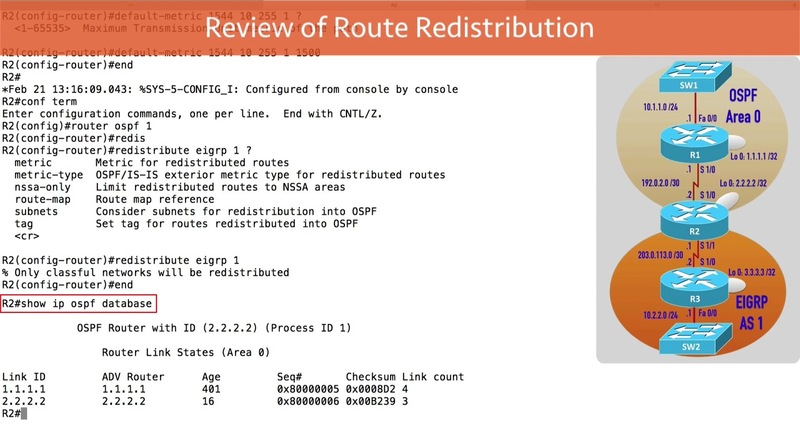 First why would we want to do Route Redistribution? 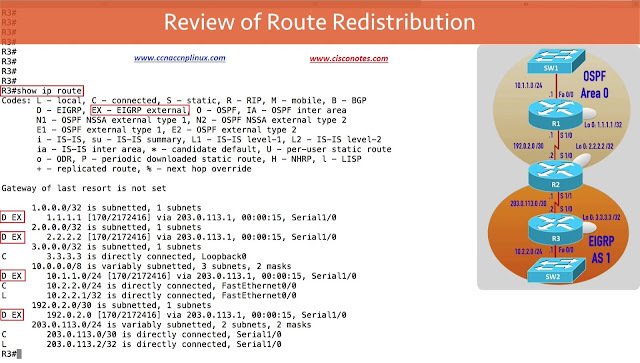 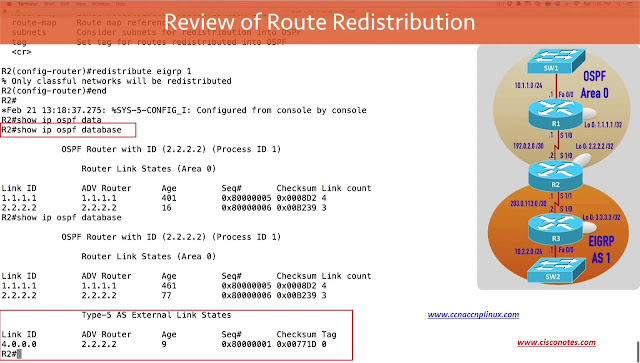 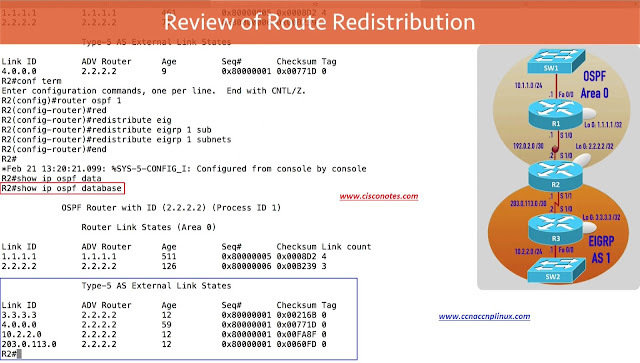 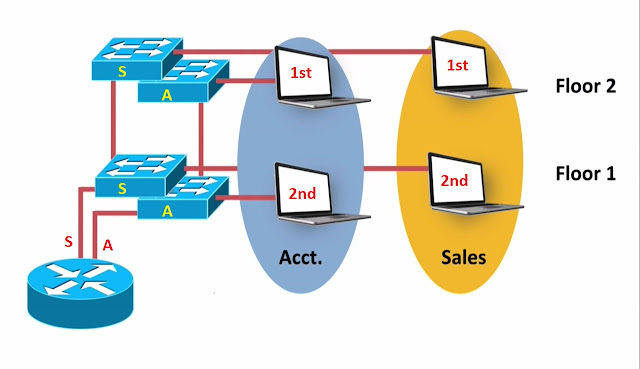 That’s where we got a couple of different Routing Protocols and each Routing Protocol is sending its Routes into the other Routing Protocol and when we configure Route Redistribution, here is key point to keep in mind often time it can get confusing in which direction the Redistribution is happening. 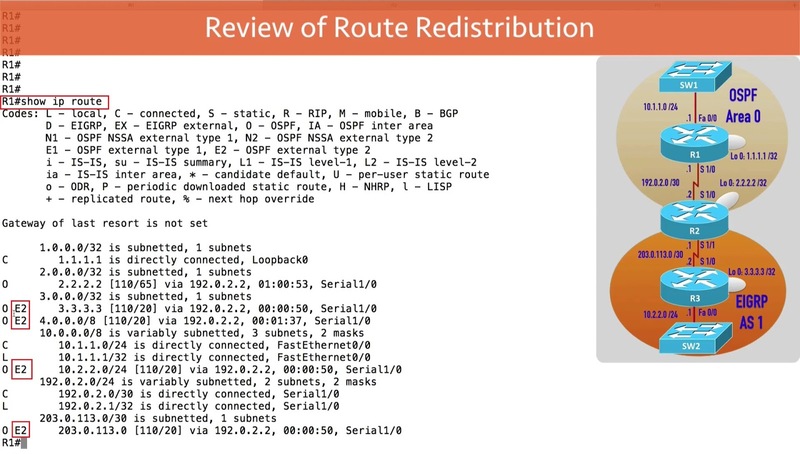 If i go into Router EIGRP 100 Configuration Mode, i am in the Router Configuration for an EIGRP Autonomous System and i give the Redistribute command under EIGRP Router Configuration Mode what i am saying, am i saying that i want to take EIGRP learned Routes and Redistribute them somewhere else. No! 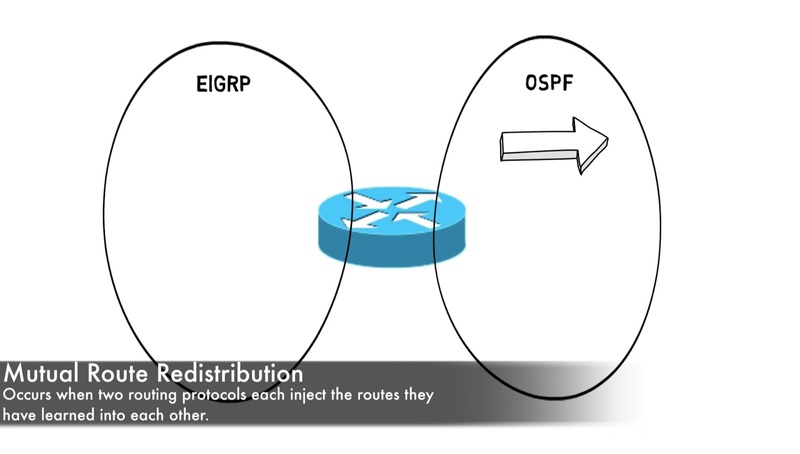 What i am saying with Redistribute command is “Redistribute Routes from the specified Routing Source their we gonna specifying in Redistribution command, redistribute those into this Routing Protocol” in my case, i am in EIGRP Router Configuration Mode. Ø OSPF’s metric is based on Cost(Bandwidth). 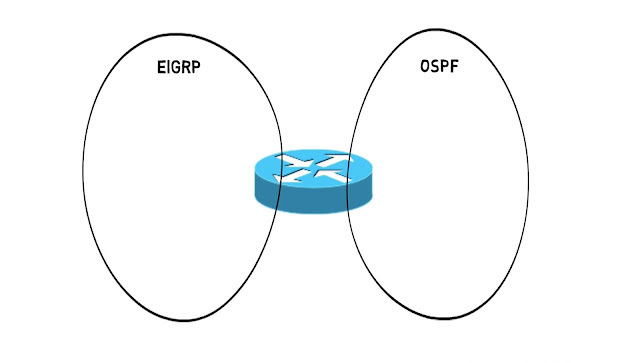 Ø And by default, EIGRP’s metric based on Bandwidth and Delay, even though it can consider other things depending on our K Values. 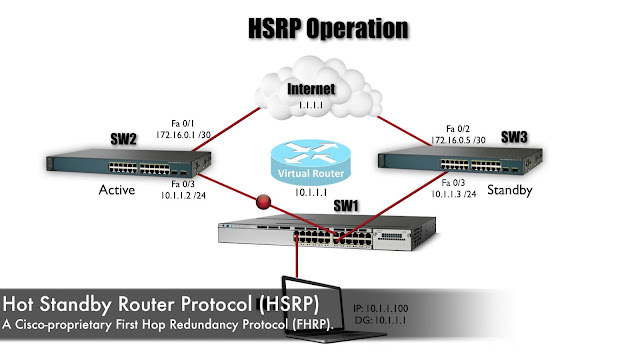 Ø RIP its metric is based on Hop Count, how many Routers do we have to transit in order to get to this network. 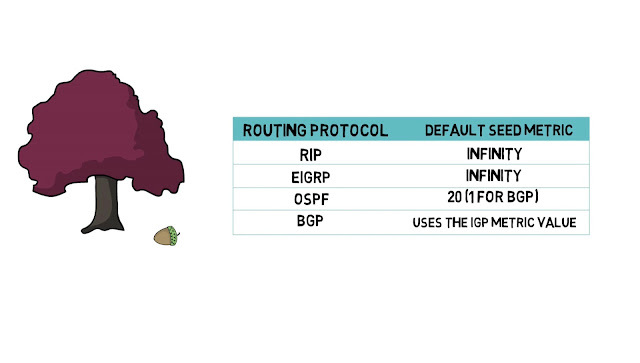 Ø And BGP is an interesting one, its gonna use whatever the IGP Metric value is as the default Seed Metric. 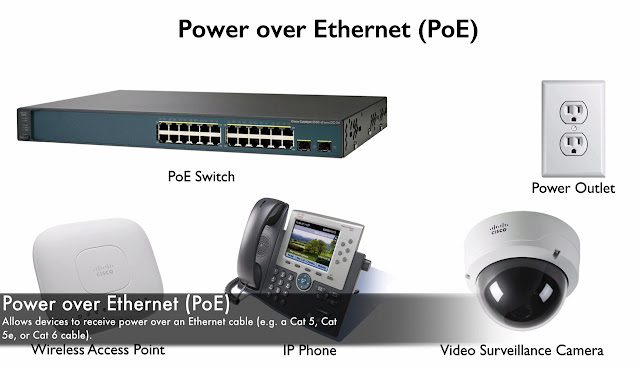 Ø We discussed why we need it? 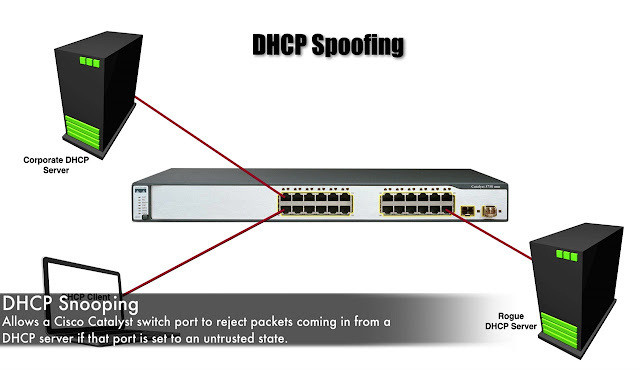 Ø What does it do? 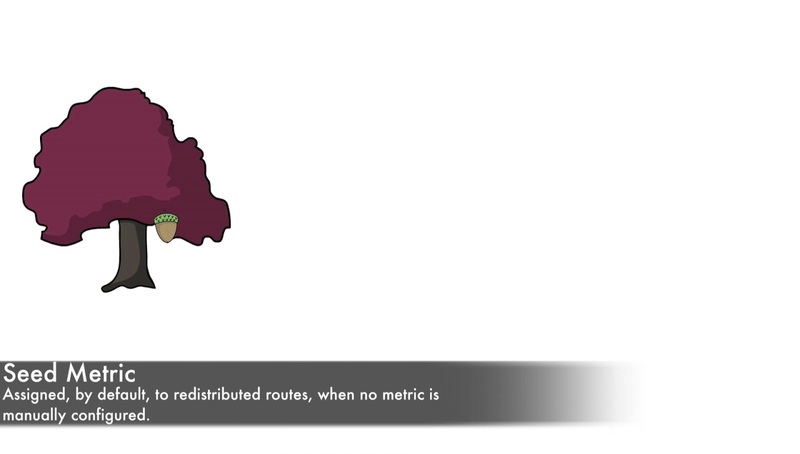 Ø What are the defaults Seed Metric? Remember the metric for EIGRP is made up of “bandwidth, delay Reliability, Load and MTU (where MTU is not really used in calculation)” but its designed to be Tie-Breaker and by default only Bandwidth and Delay is considered but we can manipulate the K Values to make “Load and Reliability” also be considered here. 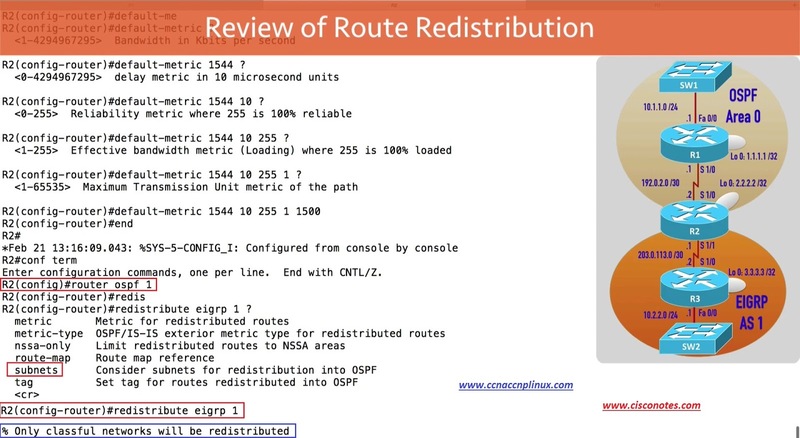 I could say that i wanted to specify a metric in this point but remember OSPF does have a default metric it going to assign to Redistributed Routes, it’s gonna be a metric of 20 unless that Redistributed Routes is coming from BGP in that case metric is gonna be 1 but here i am just gonna leave it at default of 20. 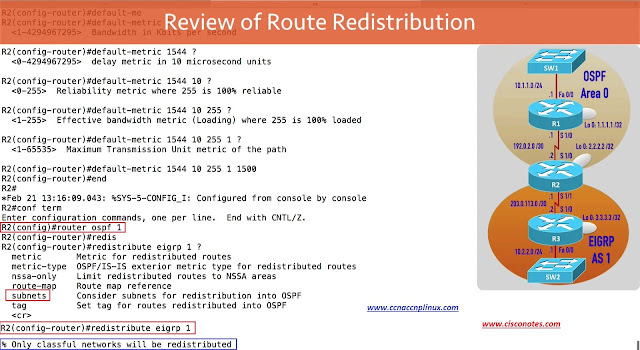 E2 is the default as we saw on R1 but the difference between E1 and E2 is “when a Route is being Redistributed as E2 or Type 2 External Route then it’s metric is gonna remain as the same” it’s gonna be the metric assigned by the ASBR, by the Autonomous System Boundary Router regardless of how many router Hop’s it has to go through within an OSPF Areas it still gonna have that original metric assigned by the ASBR, if i am 3 Router Hop’s away and i say what’s the metric to get back this network, it’s gonna be the same metric as the ASBR reported. And now the we reviewed the basic Route Redistribution Configuration, let’s take a look at our next session at Trouble Ticket.